Unimproved vacant LAND, ready for immediate construction, rectangular shaped, with 200 feet frontage on Red Bluff Road by 216.29 feet fronting Genoa-Red Bluff. All normal utility services are available nearby. 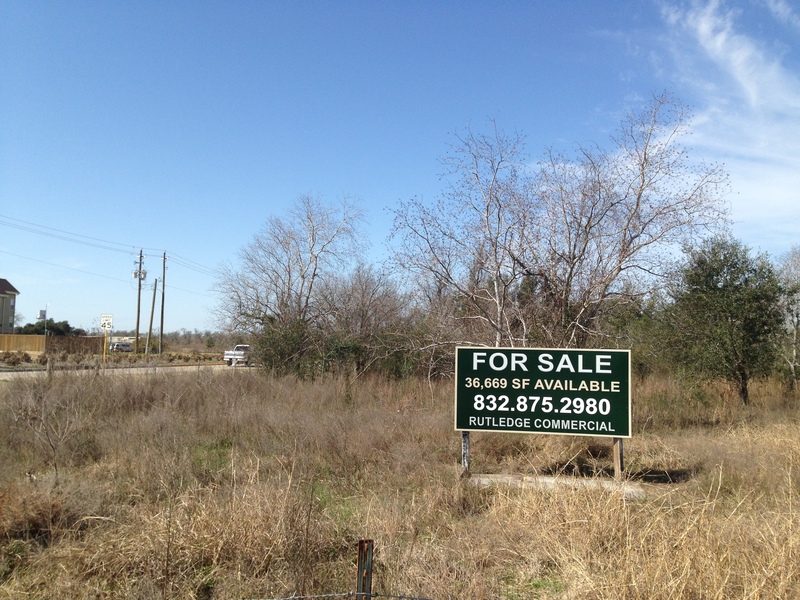 Rectangular tract of land is located on the Northwest, signaled corner of the heavily traveled Red Bluff Road and Genoa-Red Bluff Road, across from the new Baywood Apartments [the former Humble Oil/Exxon, Baywood Country Club Golf Course]. Genoa-Red Bluff Road, was recently expanded into a four-lane, concrete, curb & guttered boulevard from Beltway 8 to Red Bluff Road.